MATERIAL: SOLID 92.5% silver content ONLY! 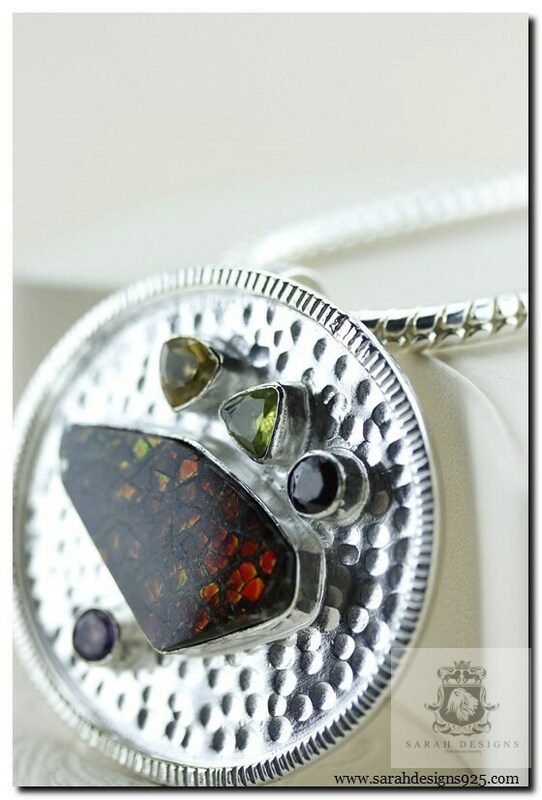 Ammolite: is arguably the rarest gemstones on earth. It is sourced primarily from one location along the eastern slopes of the Canadian Rockies and belongs to category of organic gemstones. Ammolite often has a flaky or "dragon skin" surface giving it the opal-like iridescent play-of-color typically in shades of green and red, but all of the spectral colors are possible. This sort of iridescence is a result of light interference rebounding off thin layers of platelets. 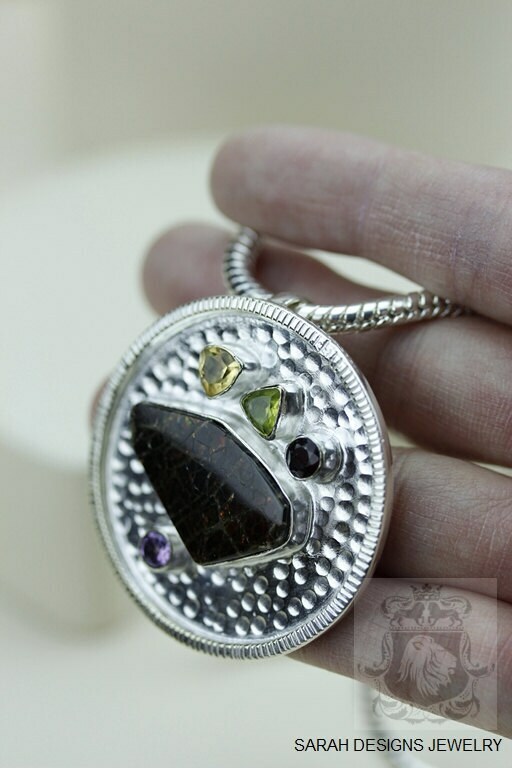 Ammolite sources and deposits are expected to depleted and exhausted within the next twenty years. Ammolites are investment pieces, which will only go up in value as time progresses. Order Processing time: Within 24 hours after cleared payment your item(s) should leave my Vancouver Showroom. This pendant exceeded my expectations, I love it! 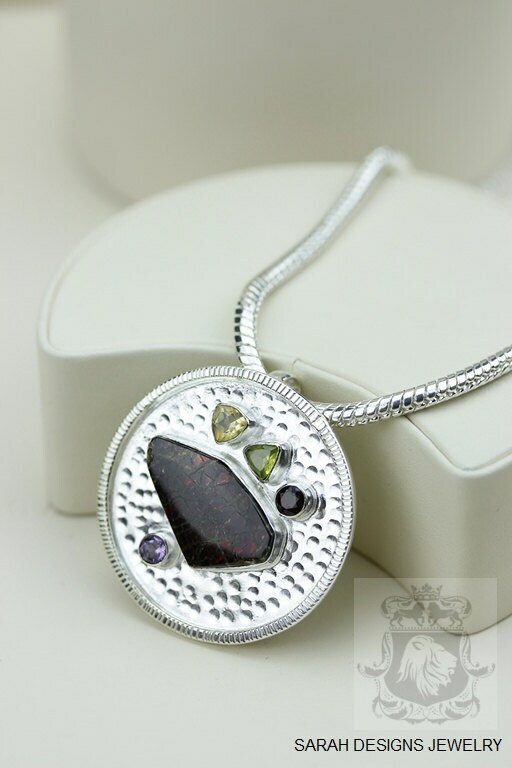 The ammolite has a lovely red fire and pendant itself has a great heft to it, as does the included chain. 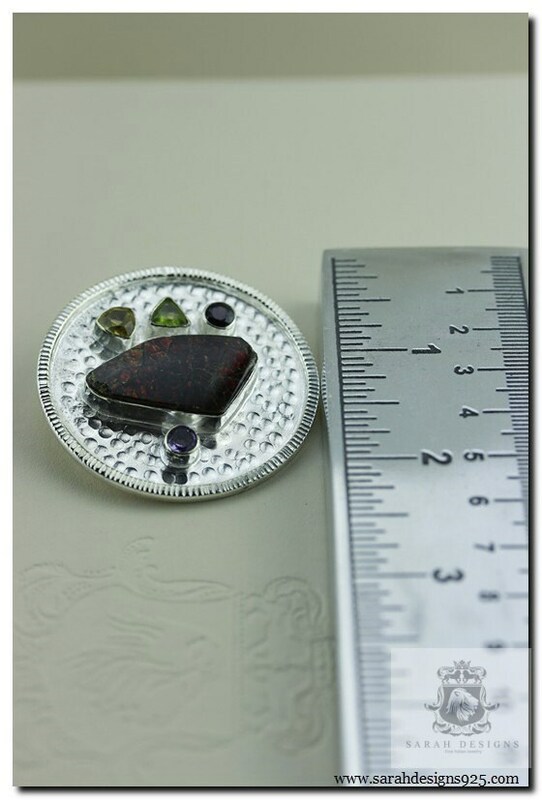 I purchased another pendant and I can combine the chains depending on the look I am after. Also, it arrived super quickly and was packed very well. The external envelope was torn during transit, but everything was there in the package on arrival. 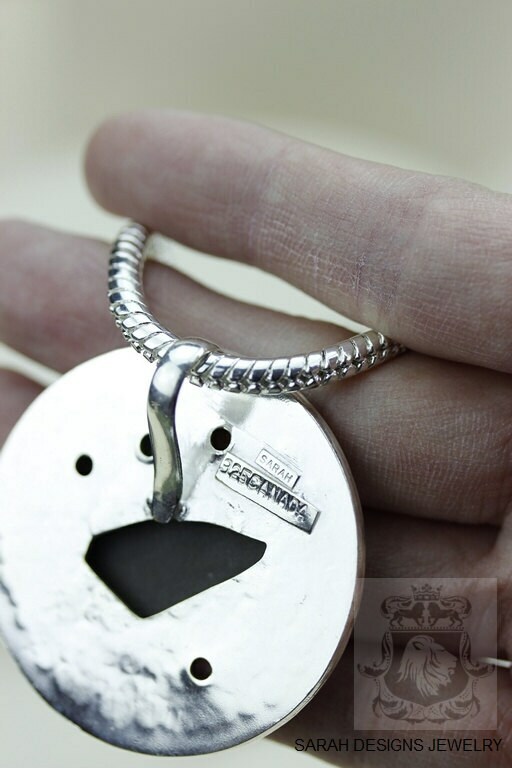 My only regret is not ordering an anti-tarnish gift box like I did for a friend's necklace. I know for next time! Thank you Sarah!